Here you'll find our selection of hotels & holiday cottages with a swimming pool throughout Cornwall. All the accommodation here has on onsite pool although you will have to read details to determine if it is an indoor or outdoor pool and whether or not it is heated. Either way renting a place to stay with a pool can be both relaxing and invigorating as well as giving the kids the holiday of a lifetime. Even though Cornwall is home to many fine beaches it is true there is the 'occasional' rainy day. This can narrow your options somewhat but if your accommodation has a swimming pool nobody is going to be too disappointed. Accommodation with a pool generally falls into one of two types; private or shared. Whilst you will pay a premium to stay somewhere with a private pool this is the very height of luxury. Obviously the big attraction here is the privacy but there is also exclusivity - no one's going to beat you to the best sun loungers and the kids can behave, well, like kids! Many complexes and hotels have a communal swimming pool. Although it may not seem quite the level of indulgence as having a pool to yourselves there are actually advantages. 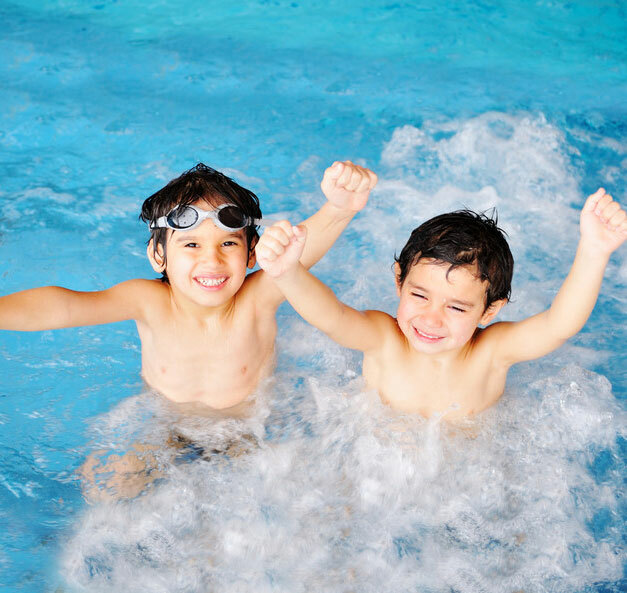 Shared pools are frequently bigger and more commonly indoors or even heated. There is also the social aspect - sharing a pool can be great for kids to meet new friends and have double the fun.